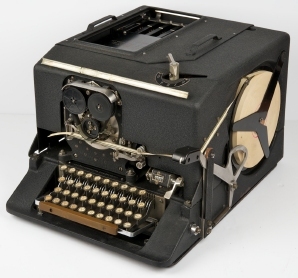 The SIGABA encryption machine built by Friedman and his staff at SIS. New FOIA bills in both the House and the Senate stand a good chance of becoming law – in large part because both contain common-sense, cost-saving improvements that will help ordinary requesters by, among other things, reining in the oft-abused b(5) exemption, fixing fee issues, and strengthening the FOIA ombuds office. The bills were reintroduced this session after lobbying by pro-secrecy government and private interests prevailed over unanimously approved, bipartisan legislation in the 11th hour of the last Congressional session. Former Senator Jay Rockefeller (D-W. Va.), for example, placed a last-minute hold on the Senate bill last December over misplaced concerns regarding a central provision in the bill that would have required agencies to release information unless “foreseeable harm” would result. (FreedomInfo.org’s Toby McIntosh has an excellent, in-depth post mortem of the bill here.) The hold was ultimately lifted, only for legislation to die in the House. 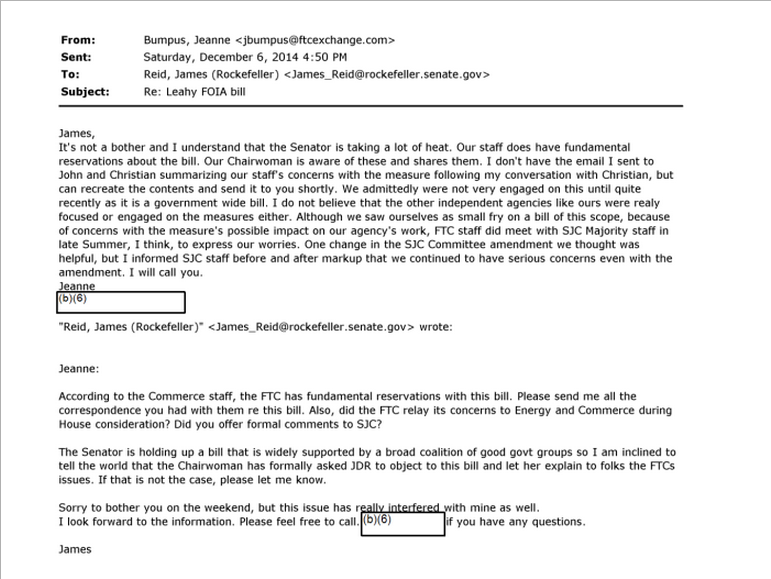 In a bit of poetic justice, MuckRock’s Shawn Musgrave filed a FOIA request with the Federal Trade Commission (FTC) for communications the agency had with Sen. Rockefeller concerning the Senate bill. Musgrave recently received 25 pages of documents in response to his request, which quotes a member of Rockefeller’s staff telling an FTC employee that, because the bill is “widely supported by a broad coalition of good govt groups,” he was inclined to let the FTC explain why it had requested the Senator place a hold, rather than the Senator himself. The same FTC employee also acknowledged that the agency viewed itself as a “small fry” in the FOIA bill debate…but that didn’t stop it from trying to kill it for everyone anyway. 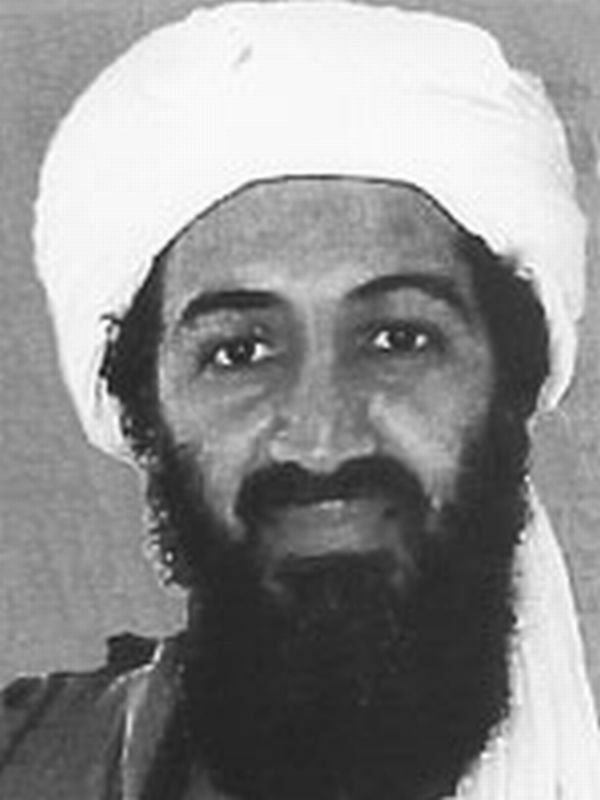 Documents concerning Osama bin Laden have been notoriously difficult to get declassified. A good start for more openness would be for the CIA to declassify a September 2010 memo entitled “Anatomy of a Lead,” chronicling how the Agency identified Abu Ahmed al-Kuwaiti, bin Laden’s courier who allegedly led the US to him. 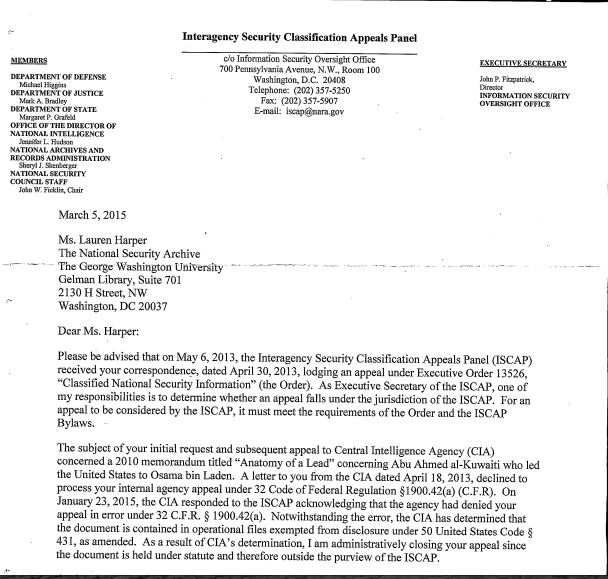 The Archive submitted a mandatory declassification review (MDR) request for the widely circulated (and reported) memo concerning bin Laden’s capture, but the CIA denied our request citing its operational files exemption. The decision was unfortunately upheld by the Interagency Security Classification Appeals Panel, which reiterated the argument that if such records existed, they would be contained in the CIA’s operational files, and exempt from search and review. 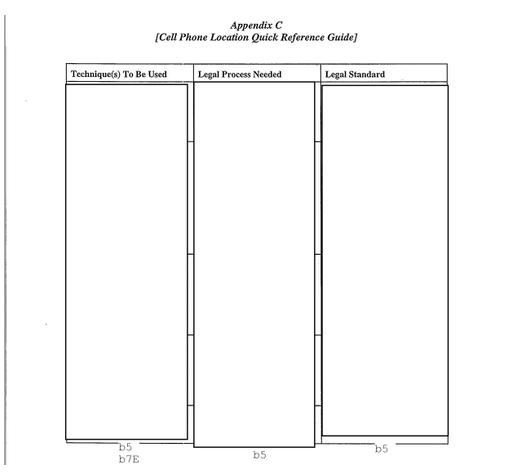 This document is, upon information and belief, included in the 6 million pages reviewed to produce the Senate Torture Report, and pursuant to 50 USC 431(c)(3), which specifically provides that “the specific subject matter of an investigation by the congressional intelligence committees, the Intelligence Oversight Board, the Department of Justice, the Office of General Counsel of the Central Intelligence Agency, the Office of Inspector General of the Central Intelligence Agency, or the Office of the Director of National Intelligence for any impropriety, or violation of law, Executive order, or Presidential directive, in the conduct of an intelligence activity” should continue to be subject to search and review. In 2012 the FBI demanded that the University of South Florida (USF) “immediately return copies of e-mails from one of its agents” concerning disgraced associate professor Dajin Peng. The agent, Dianne Mercurio, had been in contact with Peng since 2009, encouraging him to spy on connections Peng had high within Chinese intelligence circles, and leveraged Peng’s tenuous position at USF, where he was being investigated for falsifying expense accounts, making inappropriate advances towards female colleagues, and keeping explicit material on a USF computer, to compel him to keep spying. Fortunately, USF followed Florida’s open government law and released Mercurio’s e-mails in response to a request from Bloomberg News. 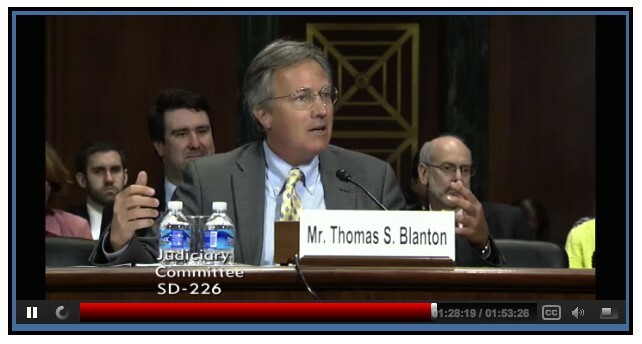 Archive director Tom Blanton testifies before the Senate Judiciary on May 6, 2015. The Director of the Department of Justice’s Office of Information Policy (OIP), Melanie Pustay, recently testified before a Senate Judiciary Committee hearing, that when “processing requests for disclosure, the government continued to maintain a high release rate of over 91%, marking the sixth straight year in which the government’s release rate was above 90%. This means that records were released, either in full or in part, in response to 91% of requests where the government was in a position to make a disclosure determination.” The 90% release rate is also touted in OIP’s summary of annual FOIA reports for FY2014, but it is a misleading figure. As Archive Director Tom Blanton noted in his own Senate testimony, to calculate that figure the DOJ includes only final processed requests, and the DOJ statistic leaves out nine of the 11 reasons that the government turns down requests so they never reach final processing. Those reasons include claiming “no records,” “fee-related reasons,” and referrals to another agency. Counting those real-world agency responses, the actual release rate across the government comes in at between 50 and 60%. And what about the records that the DOJ counts as successfully released, either in full or in part? The FBI’s recently released – and nearly entirely redacted – 5,000 pages of documents in response to documents on its use of StingRay cell phone tracking technology would be another trumped up – and unwarranted – success statistic. A FOIA release to brag about…? Sen. Barbara Boxer blasted the secrecy surrounding the Trans-Pacific Partnership (TPP) negotiations on the Senate floor this week, recounting her efforts to read the text for the multinational trade agreement that is inexplicably classified (US chief TPP negotiator Barbara Weisel said in 2012 the text “cannot be released to the public” because it is constantly evolving, a claim upheld by then-US Trade Representative Ron Kirk). Boxer said a member of Congress can only take staffers with security clearance to view the text, and, were the Congressperson to take notes, the notes would be taken away from them and placed in a file before they left. Affiliates of the 28 US government-appointed trade advisory committees providing advice to the US negotiators – like AT&T, General Electric, Apple, Dow Chemical, Nike, Walmart and the American Petroleum Institute – can, however, view the TPP text. The Washington Post’s Al Kamen recently reported on a new tactic the State Department is using to delay processing FOIA requests– the “Hillary Dodge.” Kamen highlighted a 2001 Archive request for Henry Kissinger’s 700-still-secret telephone conversations (telcons) for his column “In the Loop,” noting the State Department petitioned for an additional six months to process our 13-year-old FOIA request in US District Court last week, citing a huge “surge” in FOIA lawsuits in and processing delays related to the processing of Hillary Clinton’s emails. The emails are all unclassified, making “The Hillary Dodge” a particularly feeble one. “INFO – Summary Human Rights Working Group, 15 OCT.” U.S. Northern Command, report, Unclassified, 2 pp. 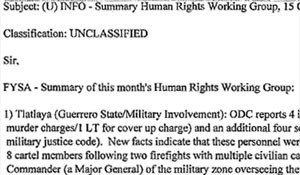 Declassified records obtained by the National Security Archive and highlighted in a new report for The Intercept by former Archive staffer Jesse Franzblau and Cora Currier shed light on how the US has perceived and responded to allegations of serious human rights abuses committed by US-funded security forces in Mexico. Read the full story – and the documents behind it – here. This week’s #tbt docunment pick is chosen with the 60th Anniversary of the Warsaw Pact in mind, and is a May 1961 speech by Soviet Defense Minister Marshal Malinovskii on the need for Warsaw Pact Offensive Operations.